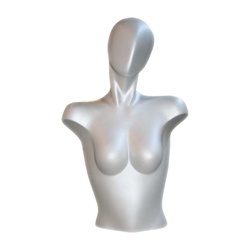 Our clear egghead female half torso form mannequin is posed with her arms by her sides. She is fully transparent and will add sleek style to your displays. Made of clear acrylic. Includes Base.